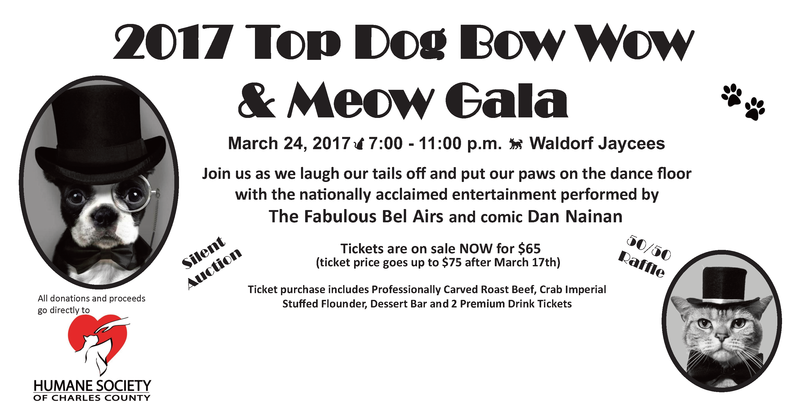 Humane Society of Charles County will host the 2017 TOP DOG "Bow Wow & Meow Gala" to benefit homeless pets in our care. Dance to the Fabulous Be Airs; laugh with comic Dan Nainan. Dinner, Auction, Raffle.